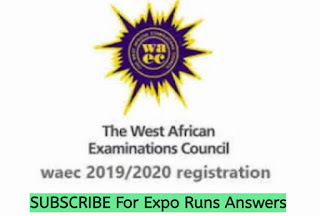 The Joint University Preliminary Examination Board (JUPEB) is a National Examinations body approved by the Federal Government of Nigeria in December 2013. It was formally established in April 2014 by a consortium of ten (10) Partnering University led by the University of Lagos. 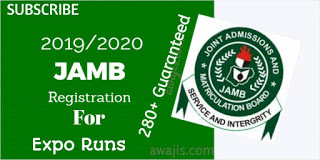 The Board has the responsibility of conducting common and standard examinations for the Candidates, who have been exposed to a minimum of one year approved courses in the different Universities Foundation programmes and are seeking direct entry admission into University courses at the 200level in Nigeria and partnering foreign Universities. The Joint University Preliminary Examinations Board (JUPEB) has been set up by some partnering Universities to facilitate Direct Entry admissions into various University courses globally, by conducting credible Examinations for candidates taught on a qualitative and well balanced curriculum. The University was granted approval to run a foundation programme with effect from November 2015. A total of six subjects are offered which include Physics, Chemistry, Biology, Mathematics, Geography and Economics. Candidates are to choose three subjects relevant to their programme. Candidates should possess five (5) O'level Credits in SSCE/NECO/NABTEB or equivalent at one or two sittings in relevant subjects. Candidates should possess a minimum of four (4) credits in relevant subjects. ii. Make payment using a Mastercard that is registered for online payment. Print out your receipt, and come along with it to the screening centre.